The The M-Max 950 CU is a high-performance rugged industrial computer provides reliable operation in tough environments. The fully-ruggedized 19/2"-type aluminum chassis is fanless and uses natural convection and conduction cooling in accordance with MIL-STD-810 standards. 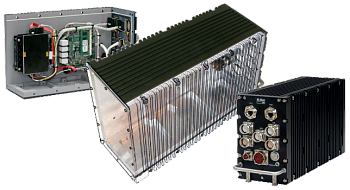 COTS technology components allow configuring the M-Max 950 family to comply with a wide variety of airborne, marine and ground vehicle applications. Delivering outstanding performance comparable to high-end desktop systems, it also features extended graphics capabilities, providing up to 6x HDMI outputs. 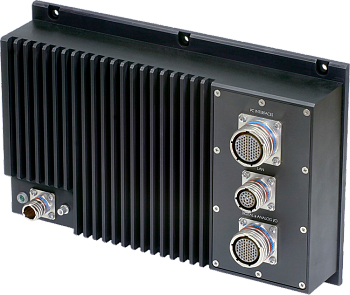 The M-Max 910 CU/MMS high-performance rugged industrial computer provides reliable operation in tough environments. The fully-ruggedized ATR-type aluminum chassis is fanless and uses natural convection and conduction cooling in accordance with MIL-STD-810 standards. 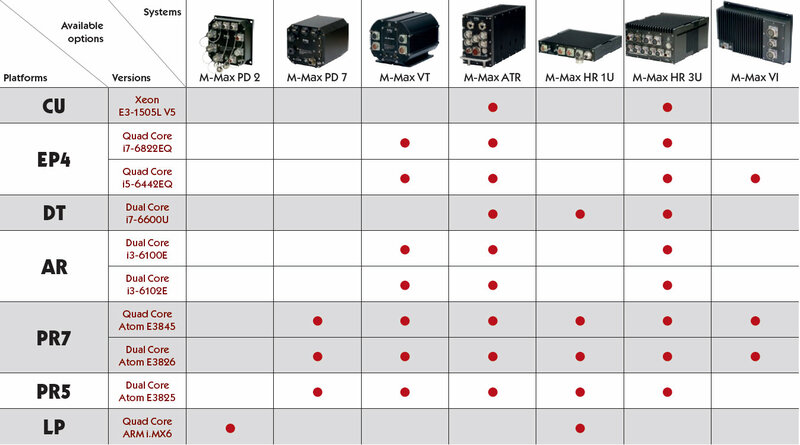 COTS technology components allow configuring the M-Max 910 family to comply with a wide variety of airborne, marine and ground vehicle applications. Delivering outstanding performance comparable to high-end desktop systems, it also features extended graphics capabilities, providing up to 6x HDMI outputs. 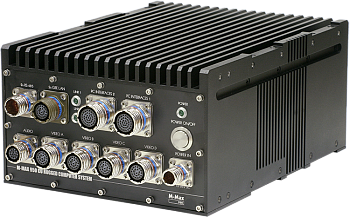 The M-Max 400 TBT is an ATR type rugged computer system for mission-critical applications incorporating three high performance i7 CPUs, an embedded 16-port switch and a removable SSD into one highly rugged sealed enclosure. The M-Max 640 LP/MMS is a small size, low weight and ultra low power consumption ARM based rugged industrial computer offering operation at a minute 4 watts. Designed for reliable operation in harsh environments, it utilizes MicroMax’s patented technology for passive cooling. The MM-PSF100I is an isolated 100 W 28 V DC power supply for avionics and other onboard applications with high requirements for EMC. The MIL-STD-704F & MIL-STD-461F compliant power supply with our MM-BCA19K0 expansion carrier meets DO-160 requirements (50ms). The M-Max 771 PR7 is a Quad Core rugged industrial computer with data acquisition features for tough environments. The enclosure is designed according to the VITA 75 footprint and can be mounted on different vehicle types. The lightweight compact sealed case with fanless heat dissipation resists contamination and humidity. The system has been certified to comply with MIL-STD-810G and airborne MIL-STD-704F. The system is expandable by one mPCIe module and one PCI/104 Plus board. 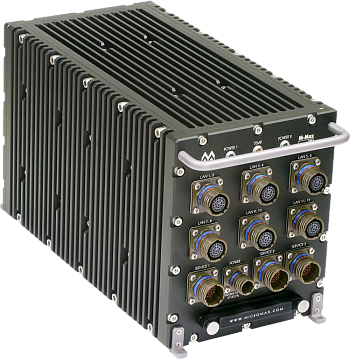 The M-Max 720 PR7 is a high performance battery powered rugged computer system for mission-critical applications. 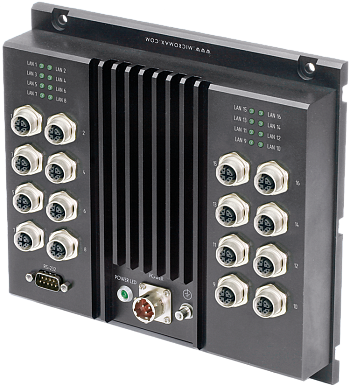 The system is designed to operate in extremely harsh environments and is equipped with: GPS module, 900 MHz Radio modem, 48x Isolated Digital I/O interfaces, four functional LEDs, expanded set of RS-232/485, USB 2.0, VGA and Gigabit Ethernet ports. The system’s LiFePO4-battery based UPS provides 10 hours of backup power and supports an online connection to the optional M-Max B00 external Rugged Battery unit. 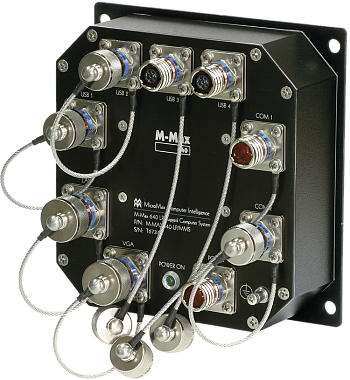 The MicroMax family of Rugged Switches, comprised of the M-Max SW216 and M-Max SW21X/PS, is a lineup of ruggedized Gigabit Ethernet Layer 2+ Managed Switches providing reliable operation in tough environments. Their rugged enclosures are designed according to the VITA75 footprint. The M-Max SW216 offers 16x Gigabit Ethernet ports. The M-Max SW21X/PS can be equipped with either 12x, 14x or 16x Gigabit Ethernet ports. 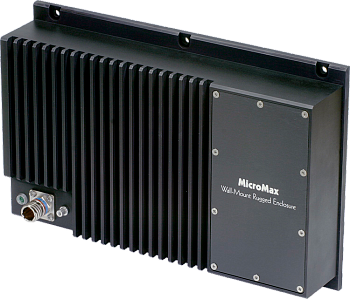 The M-Max SW21X/PS is in compliance with MIL-STD-810G and MIL-STD-461F and its embedded power supply is in compliance with MIL-STD-704F and MIL-STD-1275D. The M-Max 800 EP2/TRN-02 is a high-performance rugged industrial computer for demanding and critical applications requiring performance comparable to desktop systems. The system is IP66 rated and can withstand shocks of up to 40g and vibration of up to 6g. The M-Max 800 EP2/TRN-02 is configured with Intel Core i7 2.8 GHz CPU and Intel HD 4000 video, with hardware video decoding. The M-Max 800 EP2/TRN-02 has 5x LAN Gigabit Ethernet, 1x RS-232 and 3x USB 2.0 ports. Data storage options include vibration proof industrial SSDs with RAID functionality (software or hardware option). The M-Max 810 EP4/MMS is a rugged industrial computer with the highest performance currently available for systems with passive cooling. It is designed to provide reliable operation in harsh environments. The fully-ruggedized ATR-type aluminum chassis is fanless and utilizes natural convection and conduction cooling in accordance with MIL-STD-810 standards. The sealed enclosure of the ATR-system is designed specifically for PC/104 form-factor boards. 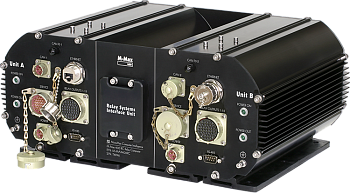 The M-Max ATR-compliant chassis is a fully sealed rugged enclosure with passive cooling, providing extreme physical protection for high performance systems. The machine-worked aluminum chassis is especially designed for the most challenging environments. The completely fanless chassis uses natural convection and conduction cooling. Typical systems housed in this ATR-compliant enclosure deliver IP66 dust and moisture protection, withstand shocks up to 40g and vibration up to 2.5g. The fully sealed enclosure houses up to 8 PC/104 or similar-sized boards. The M-Max 400 RC is a highly reliable compact rugged computer for building all-electric interlocking distributed systems. The system is designed for converting CAN-interface control signals into relay control signals of railroad automation systems. It uses ‘2 out of 2’ architecture for higher reliability of control signals. Two autonomous identical computers inside the system are connected by internal interfaces. Each computer has an independent power input and an internal uninterruptible power supply (UPS) based on ultracapacitors, ensuring up to 40 seconds of operation with the input power cut off. Depending on configuration the system allows to maintain 12 or 24 relays. The M-Max V75 chassis, designed according to the VITA 75 footprint, is a fully sealed rugged enclosure with passive cooling, providing reliable operation in tough environments. Typical systems housed in this enclosure withstand shocks up to 40g and vibration up to 2.5g. The enclosure houses up to two PC/104 or similar-sized boards. The M-Max V75 chassis is tested and guaranteed over temperature range of −40 to +70 °C. The embedded power supply complies with MIL-STD-704F specification.